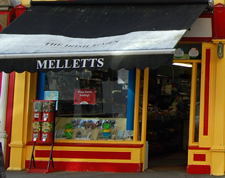 The history of the premises can be traced back to 1797 when Stephen Mellett opened the doors. Since that date, seven generations have been born into the business. 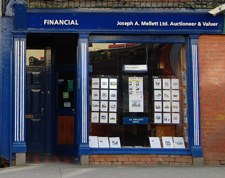 Joe Mellett, the present owner, who took over from his father Willie, is the sixth generation and his daughter Marie is the seventh generation to run the family business. There are old beer dispensing pumps in the pub made from mahogany with pewter taps. The beer or whatever product was in existence at the time was carried in lead lines from a store at the back of the pub. This was an extremely modern system then but imagine the taste from the first pint in the morning coming from the lead pipes. To get an idea of the age of these pumps, Joseph A Mellett was born in 1870 and died in 1931, and he had no recollection of ever having seen them used. The property originally consisted of a retail shop towards the front of the premises with a bar at the rear. It was the original village store with one long counter selling everything such as groceries, bacon, ales and spirits, tobacco and animal feedstuffs. You could also book your passage to the US and England and finally, the Mellett’s could arrange your funeral. The funeral service was discontinued many years ago, but there are still a few coffins left in the store. Any takers? In the bar area there was a small snug which was used solely and extensively by the women folk. Another little sideline which happened in the kitchen off the bar and in the snug was the business of matchmaking. Joe’s mother, Bea, can confirm the success of many marriages as a result of her matchmaking skills. If you’d like to hear some good tales, please call in! Large scale renovations were carried out in the bar in 1987/1988 which necessitated a complete overhaul but the end result was a building which retained the character of by-gone days. 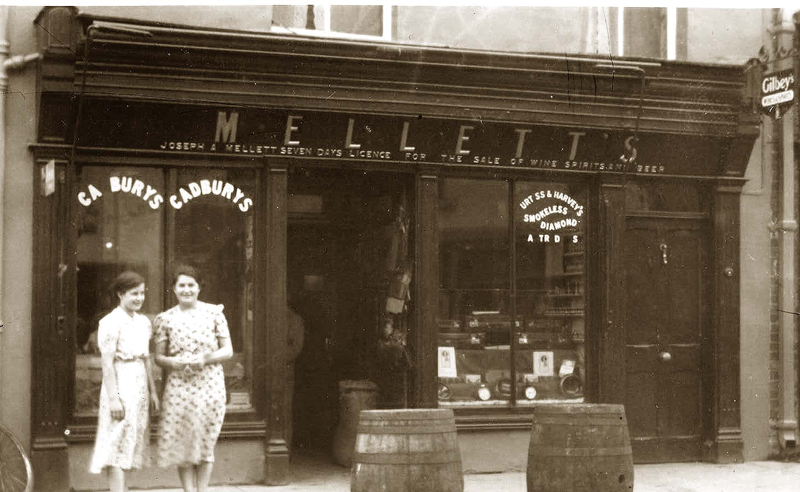 The Mellett’s never threw anything out and as a result, the pub is crammed with an enviable amount of antiques and items of the past. In fact, in the beer garden at the rear of the pub, there are three vintage cars on display – a 1934 Crossley Regis, a 1936 Austin 12 and a 1936 Morris 10. Although there has been many changes to the business since it first opened i.e. you can no longer purchase groceries or arrange your funeral etc, the pub still retains its original character and Marie Mellett is of the opinion that with a bit of luck, it can survive for another 222 years! 1797 Arrives in Swinford to work for Brabazon, marries Ms Durkin. First copper pennies and pound notes issued. 1798 Stephen Mellett is asked by his friend Francis Gallagher to supply coffins to bury two French soldiers killed at Esker. Battle of the Pyramids and the Nile. 1801 He opens Emigration Office (old emigration papers are still hanging in bar invoking the great Shipping Co. names like White Star etc) Population of New York reaches 60,000. 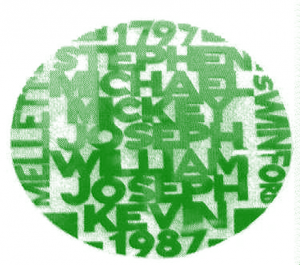 1806 Michael Mellett (Mickey) born. Napoleon proclaims a blockade of Britain. 1840 Marries Ms Campbell. Afternoon tea is introduced in Britain. 1841 Michael Mellett becomes postmaster for 25 years. James Baird discovers hypnosis. 1842 Michael Mellett Jnr born. Air conditioning and refrigeration pioneered. 1846 His father assists Famine victims. The Great Famine. 1855 Sisters of Mercy comes to Swinford. Livingstone discovers Niagra Falls. 1866 Marries Jane Dillon-Leetch (descndent of family of Solrs, Ballyhaunis) Bernadette Soubirous of Lourdes enters the Convent. 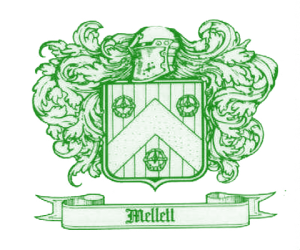 1870 Joseph Mellett born. Napoleon surrenders. 1889 Foundation stone of present Church laid. First Pan American Conference. 1891 Church opens. World’s first old age pension scheme is launched. 1895 Railway comes to Swinford. X Rays discovered. 1906 Marries Margaret Frayne. The San Francisco Earthquake. 1911 William Mellett born. Amundson reaches South Pole. 1917 Marie Mellett drowns when HMS Leinster is sank. Great War. 1922 Swinford Golf Club opens. Court of International Justice opens in The Hague. 1950 William Mellett marries Bea Roddy. Apartheid riots in Johannesburg. 1951 Joe Mellett born. First Thermonuclear reaction is treated. 1981 Marries Frances Byrne Attempted assassination of Pope John Paul II. 1982 Kevin Mellett born. Falklands War. 2014 Kevin Mellett marries Jacqueline Byrne Garth Brooks concerts cancelled at Croke Park despite selling 400,000 tickets.